Liverpool stayed on top of the premier league standings for the second week in a row after defeating Manchester United 3-1 with ease. Breathing right down their neck was Manchester City who for the first couple of weeks was displaced from their mantle. With 44 points, they are just a point behind Liverpool, later they also recorded a 3-1 win over Everton. Our premier league gameweek 17 wrap up takes us first to the headliner of this week in Liverpool Vs Manchester United. When two clubs who hate each other, take on each other, fireworks are always expected and it was no different this time around. 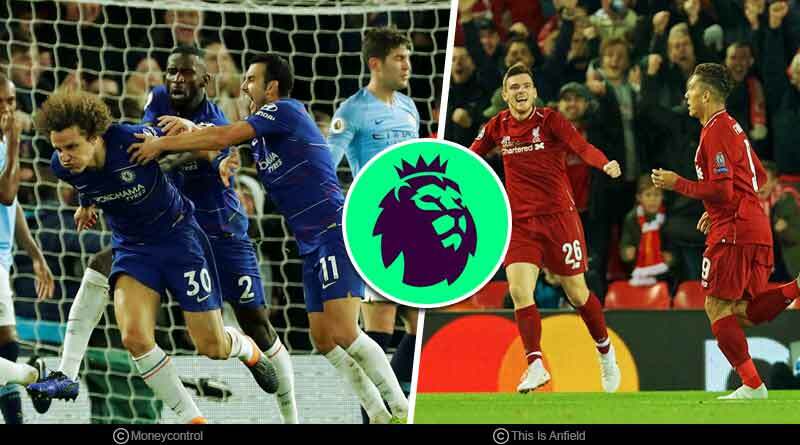 Liverpool completely dominated the game from minute one to 90, outplaying and outclassing their opponents in a performance that showed that they are in it for the long haul in the race to the premier league title. Liverpool’s quick, pacey start paid off soon with them taking a lead through Sadio Mane in the 24th minute. However, completely against the flow of play, they allowed the opposition to equalize in the 33rd minute after goal-keeper Alisson committed a howler to slip an extremely easy catch. From there on it was only a wave of red attack for the remainder of the match in a performance that saw all of Liverpool’s 10 players take a shot on goal. With 36 shots, Liverpool stormed Manchester United’s castle with just the crucial lead evading them. 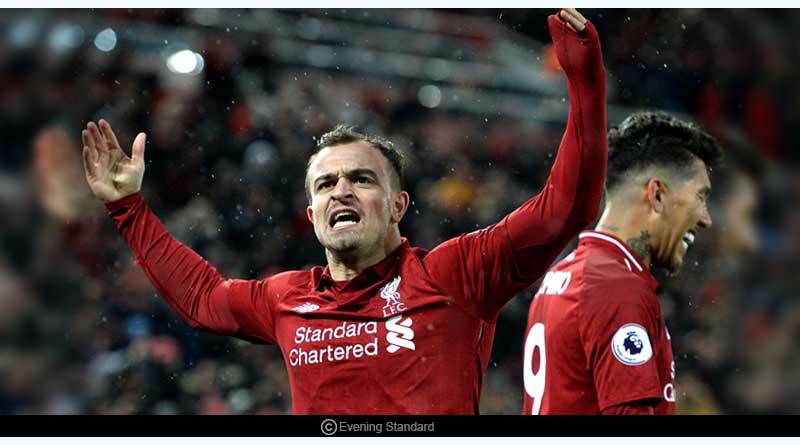 It wasn’t until the 73rd minute that they finally got the rewards of their continued pressure with substitute Shaqiri going onto double the lead to give his side a 3-1 win on the night. Elsewhere, counterparts Manchester City recorded a comfortable 3-1 win over Everton. Jesus’ two took them to a 2-0 lead early into the second half before Everton was finally awoken from their slumber to make a meal out of the match. However, it was too little, too late for the visiting side that ended up slumping to a 3-1 defeat on the day. Chelsea who traveled to Brighton in what is always a tricky fixture given their opposition’s reputation to trouble sides, won after a world-class display from Eden Hazard who was for the second match in a row played in the striker’s role a goal and assist by him was enough to ensure that Chelsea returned to London with the three points in their bag. Fellow top 4 side Tottenham ensured they maintained their position at third place with a scrappy 1-0 win over Burnley who defended the entire 90 minutes resolutely. Unable to thwart Burnley’s massive reargued effort, Tottenham looked to be settling for a share of the spoils before Eriksen sprung up in added time to give his side a vital win. The most surprising result of the day occurred in Southampton Vs Arsenal with the relegation suffering Southampton shocking their rivals 3-2. In another pathetic and sloppy defensive display by Arsenal, they were unable to stop simple crosses into the box on more than one occasion, frailty which Southampton made the most of to rake three goals past them. The result saw Southampton crawl out of the bottom 3 and bring an end to Arsenal’s 22 matches unbeaten run. Premier League gameweek 17 saw the bottom 3 spell the same fate for Burnley, Huddersfield, and Fulham who all slumped to defeats to continue making up the last 3 spots.